want to be the cat’s whiskers? 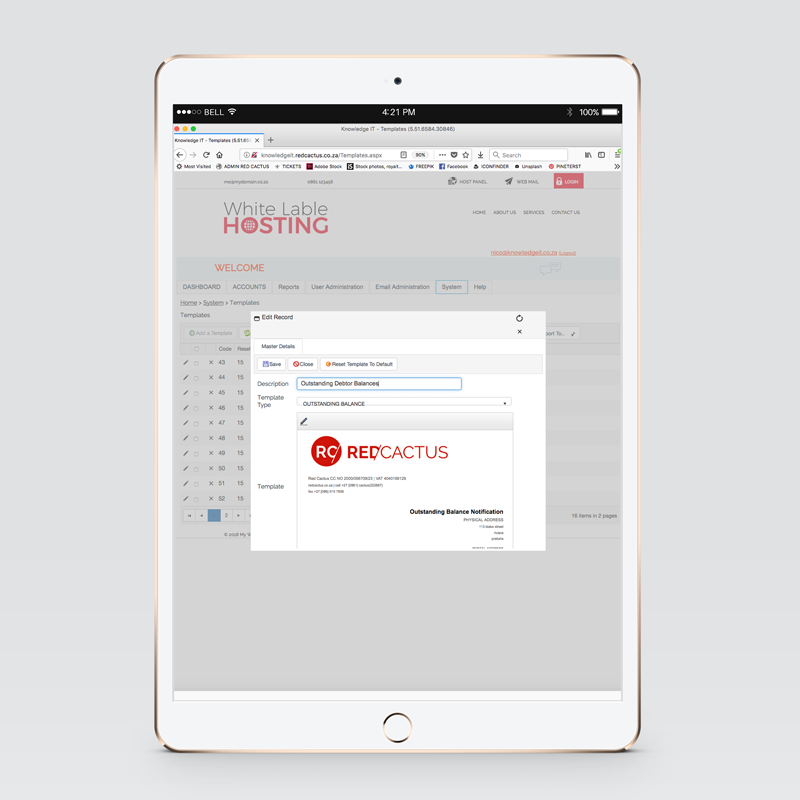 WHBCS by Red Cactus, is a hosted reseller billing and control system. The system is currently setup for the South African and African market place. 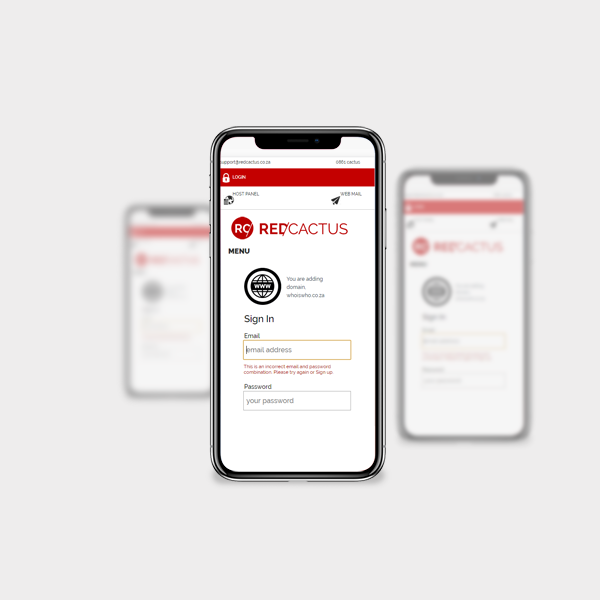 The first version was released in 2018 and is completely “white label” to insure the reseller builds THEIR business. What can the system do for me? 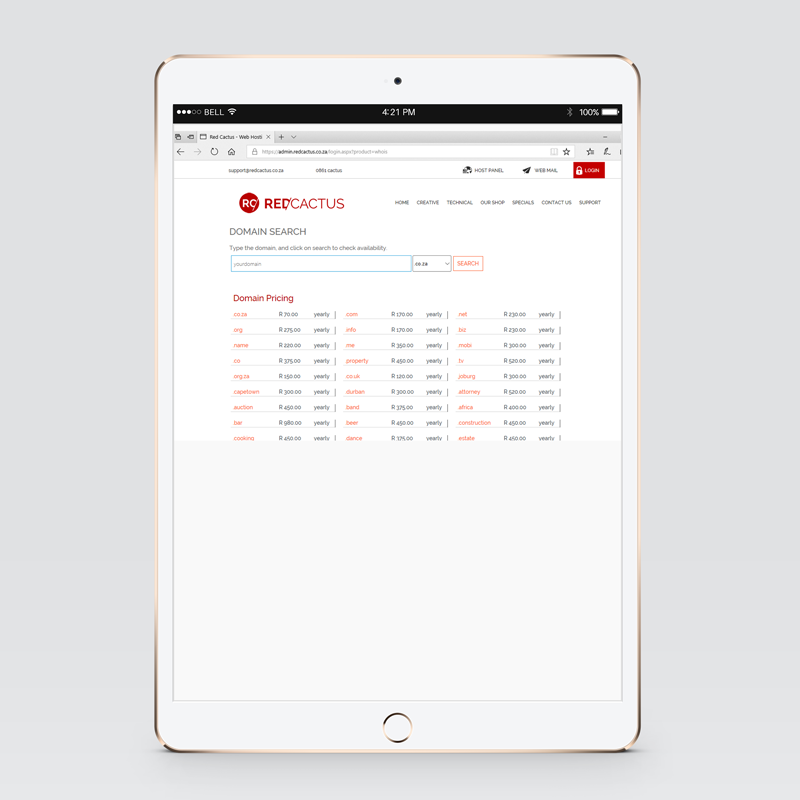 Fully responsive for mobile phones and small devices, using your custom branding. 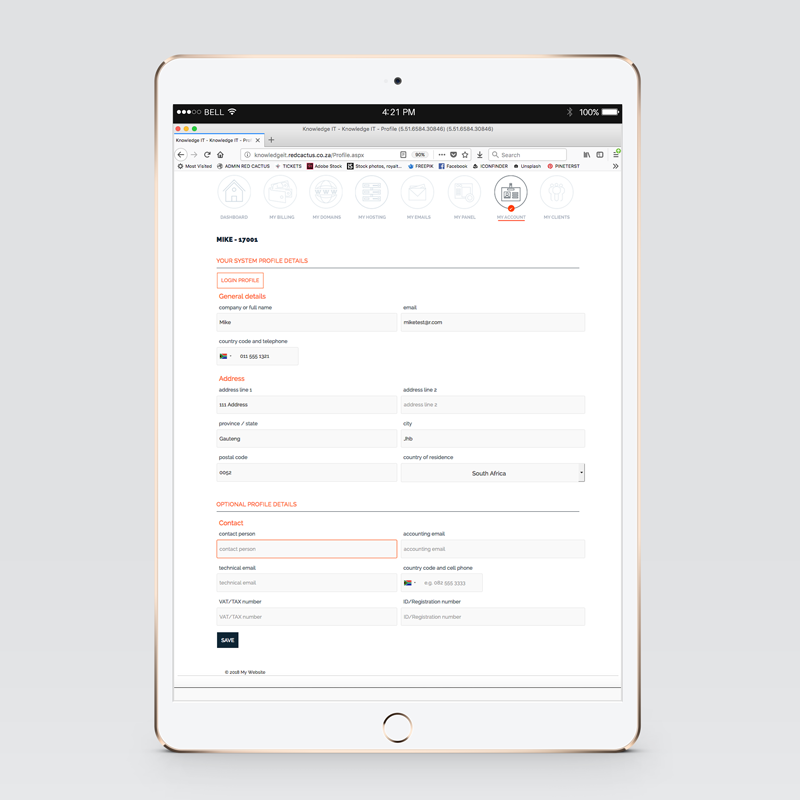 Clients can signup and manage their own profiles, and that of their clients. Issue new services, change hosting options, make payments online and much more. Provide a Domain lookup facility, with your custom top level domains and prices. 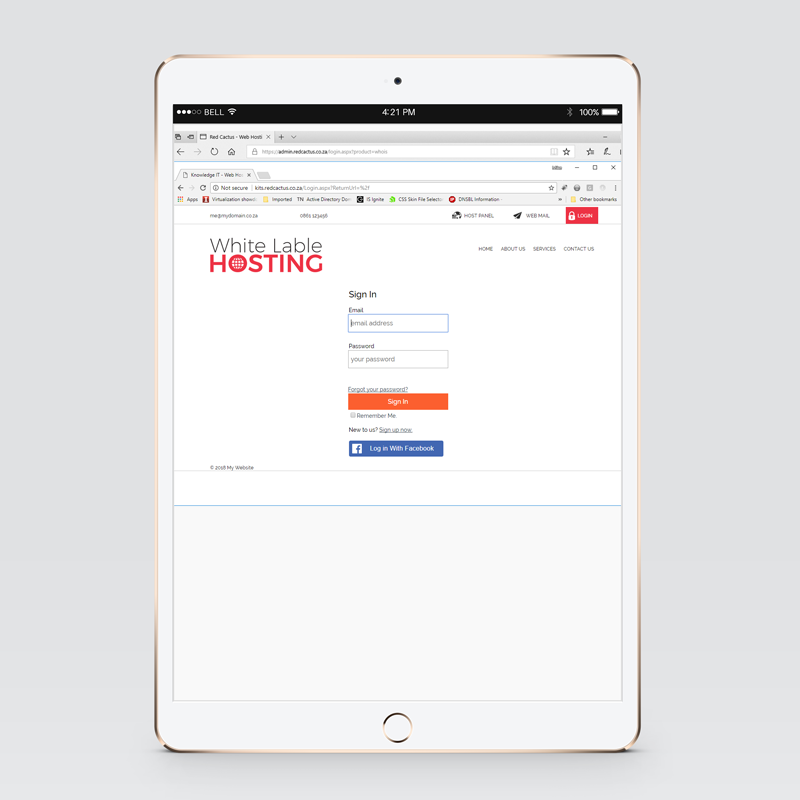 Provide your clients with signup, registration and forgot password on "your site", and your domain. Clients can pay you with EFT, Credit and Debit Card, I-Pay, Cash and Masterpass payment. Support for Payfast and Sagepay gateways. 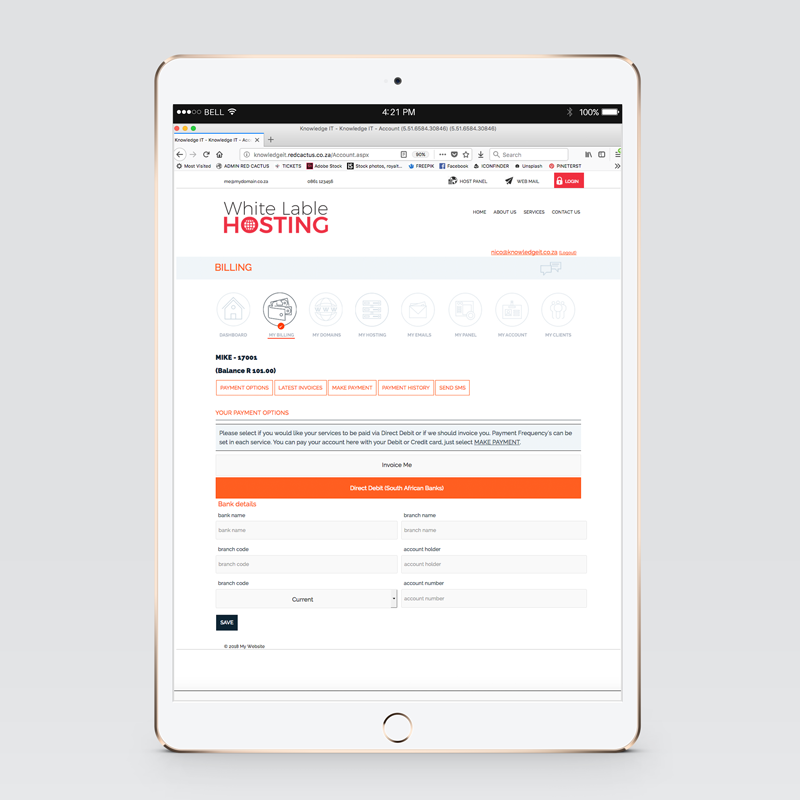 Manage hosting products with monthly, quarterly, half yearly and annual pricing, including pro-rata options. Send balance and outstanding notifications via SMS and Email. Warn clients about potential suspension of services. 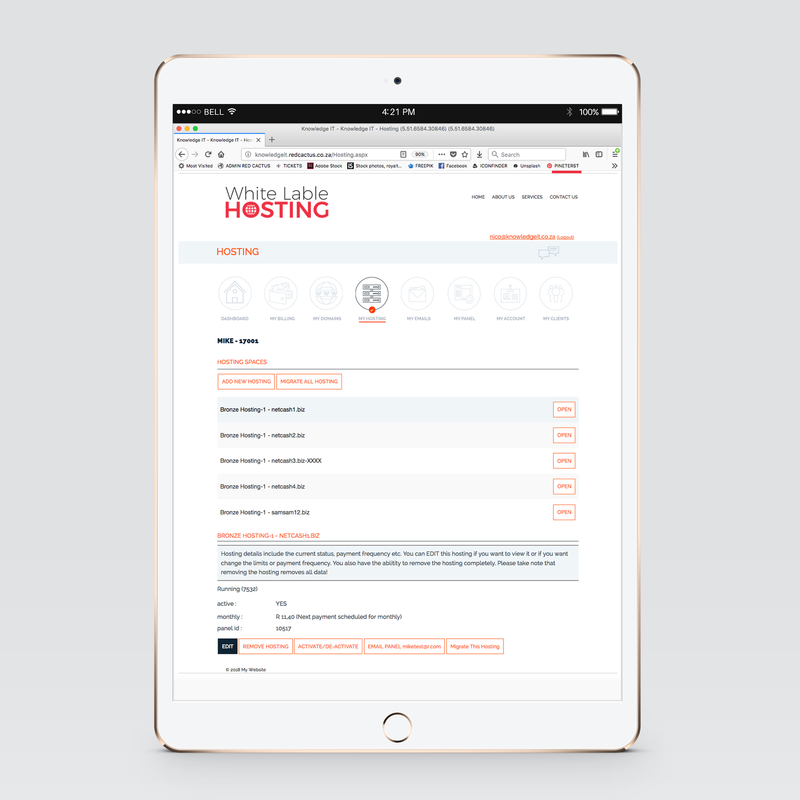 Customer managed hosting! Let your customer upgrade and downgrade their hosting product themselves. Your customers create their own email accounts, limits and passwords.